Miami Beach is known as the tropical paradise for avid boaters. 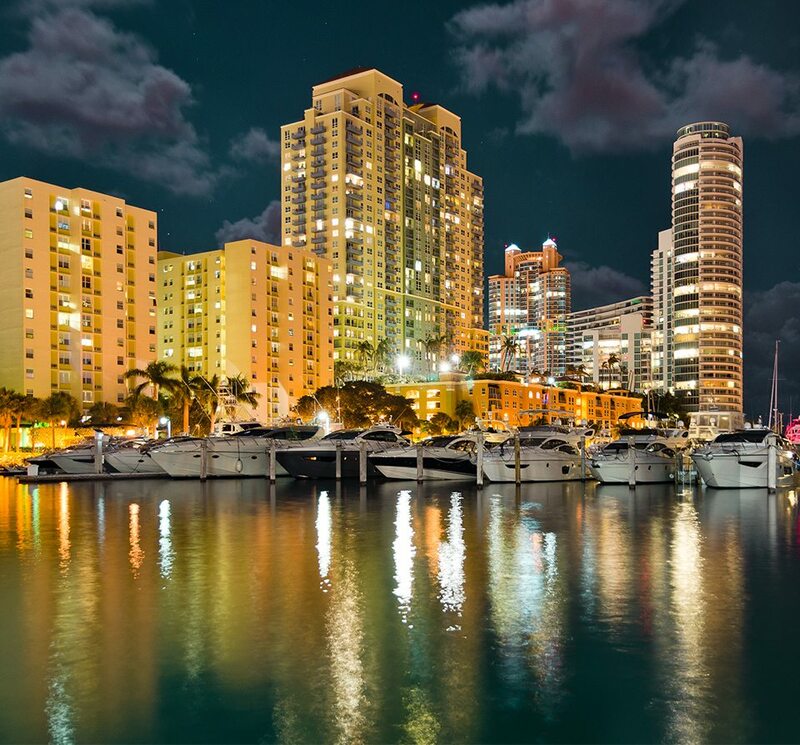 Residents of Miami Beach are lucky to have two great marinas within close proximity to some of the most luxurious Miami Beach condos – Miami Beach Marina and Sunset Harbour Yacht Club. 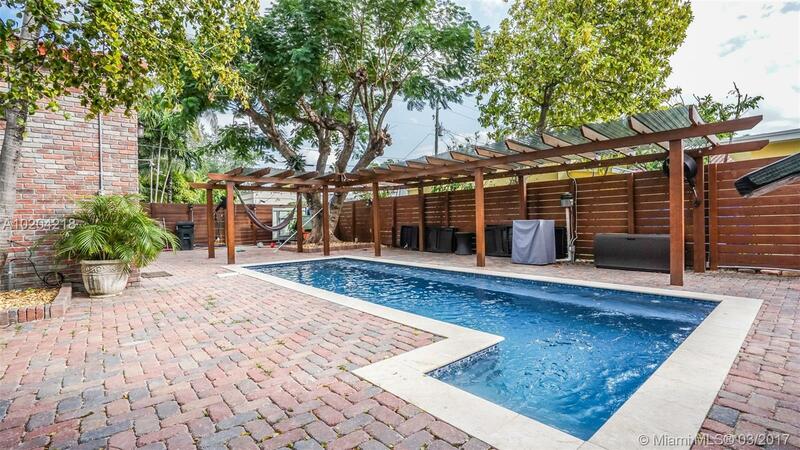 Although many buyers own yachts or boats, they may not be searching for a Miami Beach waterfront single-family home. Many buyers simply enjoy a true Miami Beach resort-style life living in some of the most gorgeous Miami Beach waterfront condos. Take a look at our take on some of the most fantastic Miami Beach condos near the best marina in Miami Beach. The Miami Beach Marina is one of the best marinas in Miami Beach. This marina affords boaters easy accessibility to fishing, sailing, yachting, and cruising, as there are no fixed bridges, open ocean access, and ample deep waters. The Miami Beach Marina is a full-service facility that offers 400 boat slips with ample dock space, which can accommodate vessels up to 250 feet. Each boat slip at this famous marina comes with fresh water, electricity, and cable hook-ups. Patrons of the Miami Beach Marina are fortunate to be in the South of Fifth neighborhood of Miami Beach where high-end dining options are a plenty – Joe’s Stonecrab, Texas de Brazil, Prime 112, etc. The Sunset Harbour Yacht Club offers a unique equity club membership program in which owners and shareholders share prime Miami Beach waterfront real estate. This marina offers wet slips and a gated covered parking space. In addition, new buyers are granted membership privileges that include the use of a private fitness center, a heated Olympic-size pool, high power electrical service, fresh water, internet hook-up, and a personal dock box. The Sunset Harbour Yacht Club can accommodate up to 125 vessels ranging from 45 to 150 feet in length. Patrons of the Sunset Harbour Yacht Club can enjoy The Shoppes at Sunset Harbour, which has everything from two grocery stores to haute cuisine. 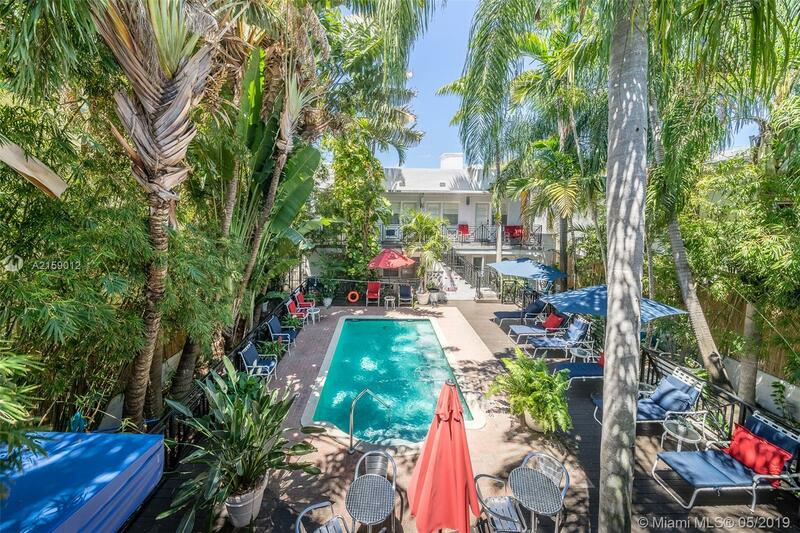 As you can see, this tropical paradise offers great boating and yachting, as well as some of the most beautiful Miami Beach waterfront condos and Miami Beach waterfront properties. If you are interested in any of these Miami condominium communities, contact us at pobiakproperties.com, and we will be more than happy to take you around to these Miami Beach condos, so that you may find your ideal Miami Beach haven. 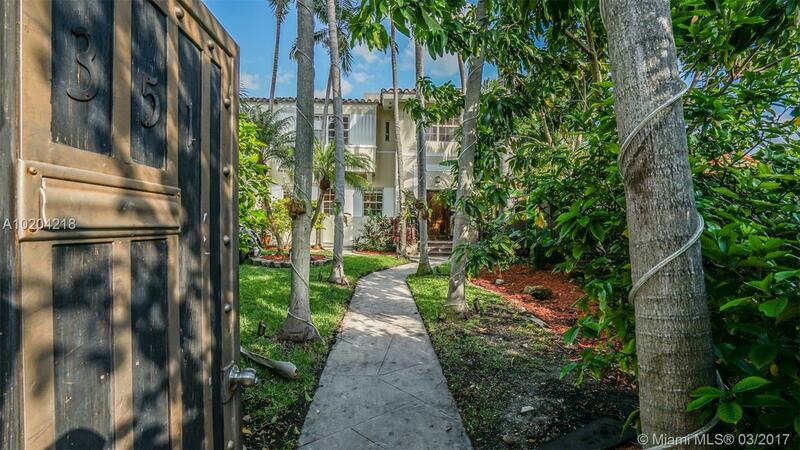 This entry was posted in Miami Beach Luxury Real Estate, Miami Beach Waterfront Condos, South Beach, Uncategorized and tagged David Pobiak, Miami Beach, Miami Beach condos, Miami Beach Luxury Condos, Pobiak Properties, South Beach on March 20, 2017 by Giancarlo Bobbio. Miami Beach is one of the most popular neighborhoods for avid boaters and boat lovers alike, thanks to the Miami Beach Marina, which is located adjacent to Government Cut. The Miami Beach Marina affords boaters easy accessibility to cruising, sailing, and fishing, as there are no fixed bridges, ample deep waters, and open ocean access. The famous marina, which is a full service facility run by a courteous and professional staff, offers boaters 400 boat slips with plenty of dock space, and can accommodate vessels up to 250 feet. Each boat slip is complete with electricity, fresh water, and telephone and cable hook-ups. If you are heading to the Miami Beach Marina by land, the marina is accessible via Interstate I-95, and is located just minutes from downtown Miami. Patrons of the Miami Beach Marina enjoy the convenience of a 5 minute travel time from the dock to the Atlantic Ocean. Patrons also appreciate the easy access to the Intracoastal Waterway, Biscayne Bay, and the Florida Keys. This marina is also a popular gateway to the Caribbean. As the Miami Beach Marina is in the heart of Miami Beach’s most famous neighborhood, South Beach, patrons have easy access to high-end shopping, dining, and entertainment. On-site, patrons can take advantage of a gourmet market, new boat sales, dive charters, water taxi services, and a salon and spa. Additionally, patrons can visit on-site fine and casual dining locations such as Texas de Brazil and Monty’s Sunset. The Miami Beach Marina also offers resort-like concierge services and amenities, which include laundry and dry cleaning, auto rentals, 24/7 dock attendants and security patrol, a heated swimming pool, and a lighted, covered parking garage. For many life on the water and being out on the ocean is one of the most significant reasons why they have purchased a home or condo in South Florida. If you love the ocean and boat lifestyle, and are interested in purchasing a Miami Beach waterfront home or Miami Beach oceanfront condo, please contact us at (305) 608-8352, and we will be more than happy to help you find the ideal home or condo for you and your family. 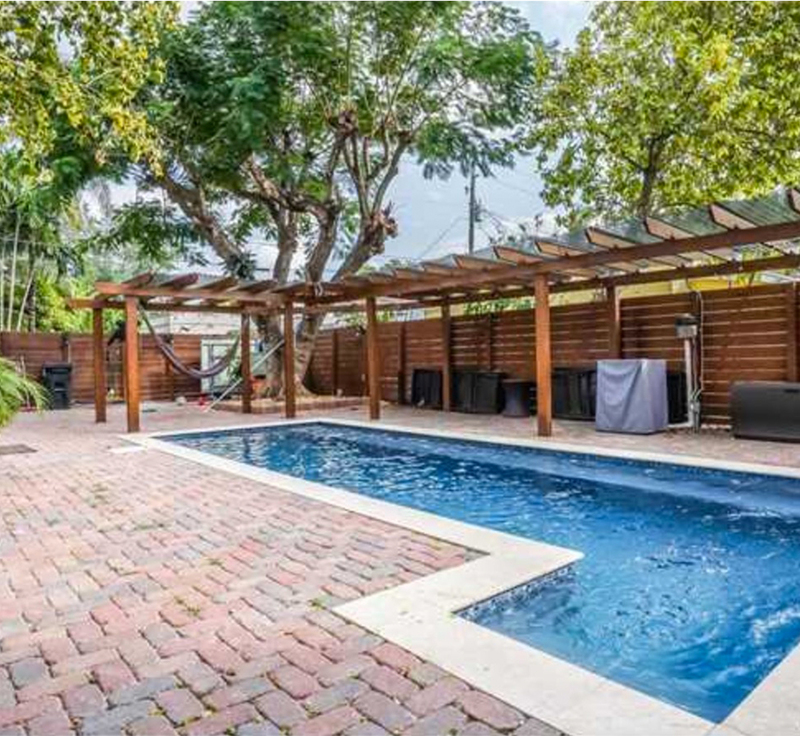 This entry was posted in Miami Beach Luxury Real Estate, Miami Beach Real Estate, Miami Beach Waterfront Condos, Miami Beach Waterfront Homes and tagged Miami Beach, Miami Beach Marina, Pobiak Properties, South Beach on November 30, 2016 by David Pobiak.